“Aware Self-Care”, a workshop with P. Lantz dancer in residence Deborah Maia de Lima, is part of the Institute for Human Development and Well-being’s 2018-2019 Take Care Tuesday Series. This innovative workshop will invite students to experience enhanced well-being through cultivation of a stronger mind-body connection. During 90 minutes of creative movement and guided reflection students will actively experience whether or not they are “living in or leaving” the body. Greater mind-body awareness, in this context, will be explored as a critical component of both emotional health and physical well-being. 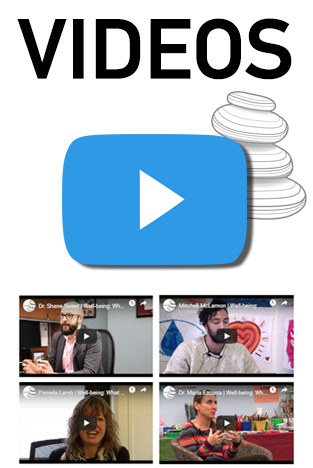 The Take Care Tuesdays Series was specifically designed with the needs of students entering education, health and human service professions in order to care of our future caring professionals. 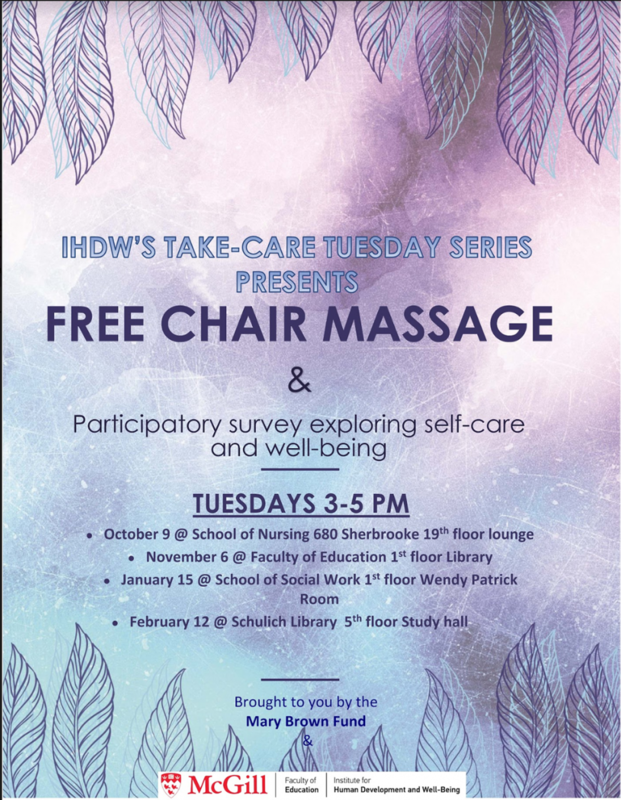 As part of this series, free chair massages will be offered to these students during a participatory campus well-being survey. 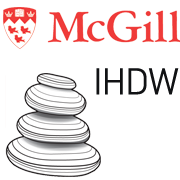 These events are brought to you by the IHDW, P. Lantz Initiative for Excellence in Education and the Arts, McGill Art Hive Initiative and the Mary Brown fund.